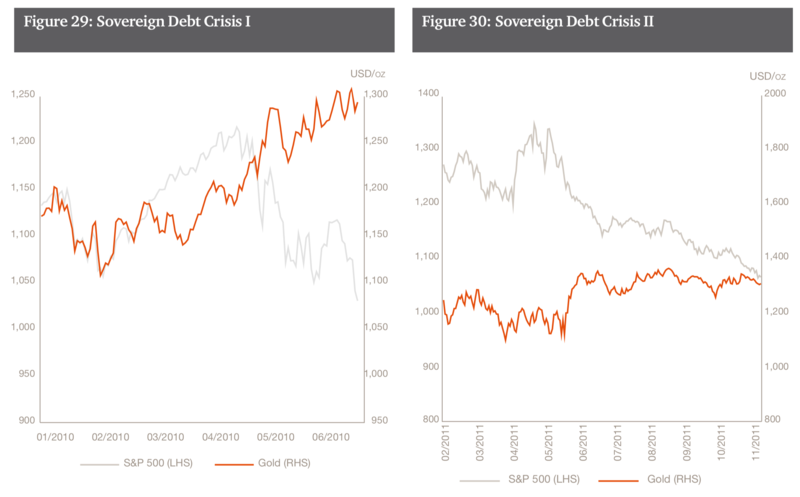 In new research, entitled ‘The rising attractiveness of alternative asset classes for Sovereign Wealth Funds‘ PwC explain how gold is viewed as an important diversifier by sovereign wealth funds, as both an important hedge and for long term returns. PwC now class gold as a ‘re-emerging asset class’ on the basis of its long-term out performance of stocks and bonds, low correlation with traditional assets, resilience and high liquidity. Gold along with private equity, real estate and infrastructure now accounts for 23% of a total $7.4 trillion of assets under management by sovereign wealth funds. The report notes that from a peak of 40% in 2013, sovereign wealth funds’ investment into fixed income instruments such as government bonds declined to 30% by 2016. Due to record low bond yields, the funds decided to turn their attention to alternative assets to enhance returns. The 23% allocation is expected to increase going forward, despite slight increases in rates recently and because of the likelihood of continuing very low interest rates. This report comes at a time when we are seeing a growing interest by both large institutions and family offices in gold investment. Like sovereign wealth funds, they are encouraged by gold’s long-term returns, high liquidity and resilience against economic shocks. 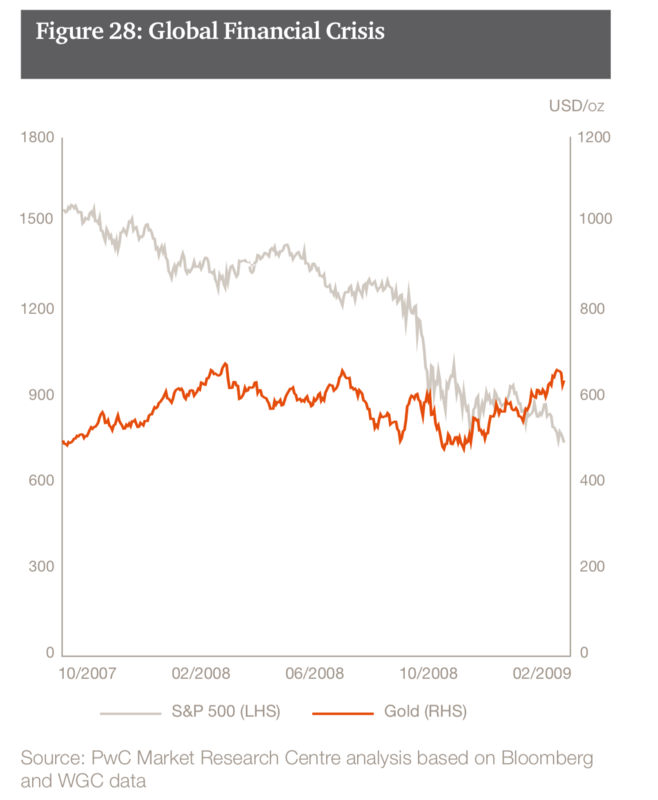 As we have seen in recent years gold, like all assets, has periods when it underperforms. This has been in the short-term in the last 3 to 5 years, but in the long-term – such as a 10, 20 or 40 year period, it is an entirely different story. Indeed, gold’s recent underperformance, makes its long term outperformance all the more impressive. 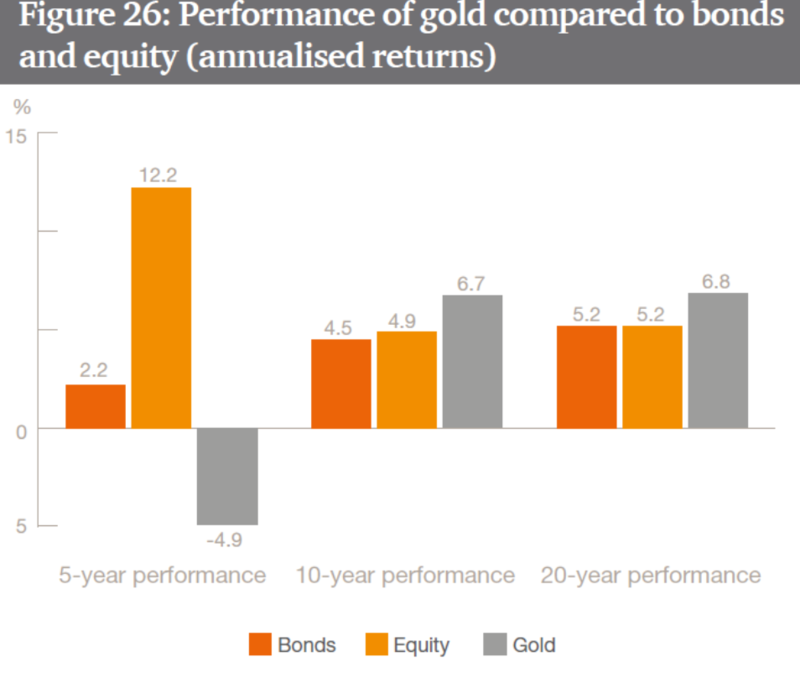 The report shows that in the last ten years, gold delivered returns of 6.7% per annum, outperforming equities and bonds which returned just 4.9% and 4.5% respectively. This return was slightly greater over a 20-year period when gold returned 6.8% per annum, compared to equities and bonds which returned just 5.2% and 5.2%. Over the long term, gold is one of the top three performing assets along with real estate and private equity. As with the other factors discussed by PwC this is pertinent for all considering investing in gold, from retail and pension investors, larger institutions and family offices. Much of gold’s low correlation is due to the fact that it is less affected by economic cycles and geo-political risks than other financial assets. This means it shows resilience at times when others are showing weakness. This has been seen in recent days when stock markets saw massive volatility and very sharp corrections and gold was essentially flat. Year to date in 2018, gold is nearly 1.7% higher while many stock indices are down sharply – Euro Stoxx 50 is down more than 4% year to date. 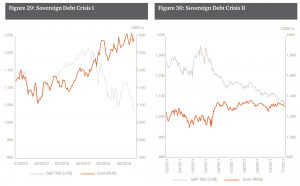 ” Stabilization funds may, in particular, benefit from adding gold among their holdings as they are required to hold highly liquid assets to counter the effects of sudden macroeconomic shocks. Gold has distinguished itself from other alternative asset classes as it has been more liquid, with USD 224 bn traded on average on a daily basis in 2016″. They clearly see gold as playing a crucial role in the portfolios of sovereign wealth funds and indeed the majority of investors across the spectrum. CNBC: Is gold the ultimate safe haven?